Edwards elected leader Shane Edwards speaks about being elevated into the Tigers leadership group. Trent Cotchin will lead the Richmond team for a fourth consecutive year as Tigers’ captain, with the Club finalising its player leadership group for 2016. Joining the five-man leadership group is reigning Jack Dyer Medal winner and All Australian defender, Alex Rance, and dynamic small forward, Shane Edwards. Remaining in the leadership group is Brett Deledio, Ivan Maric and Cotchin. At the end of 2015, Rance, 26, capped off his best season at Richmond, winning the Club’s Best and Fairest award and receiving All Australian honours for the second consecutive year. The talented tall defender has long been recognised by his teammates as an influential leader, with a strong voice on and off the field. Edwards, 27, has improved his game each season and is regarded as a key cog in the Richmond team amongst the playing and coaching group. 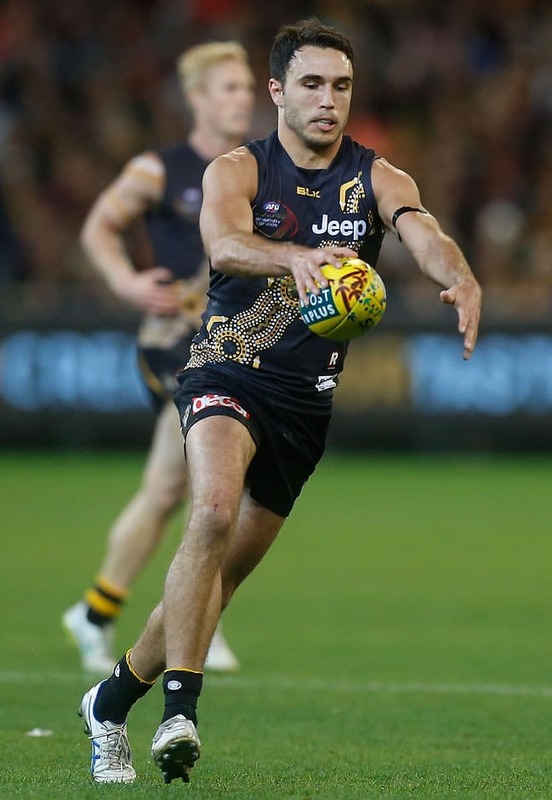 Richmond’s General Manager of Football, Dan Richardson said Rance and Edwards’ inclusions are a credit to both players’ development in recent seasons. “Alex and Shane both continuously drive the standards that we expect at our football club, and we know they’ll continue to do that in the responsibilities of their new roles,” Richardson said. Speaking to Roar Vision on Friday morning, Edwards said he was honoured to be recognised as a leader of the Club amongst the players and coaches, but would not rest on his laurels as he strives to improve. “It definitely gives me a lot of confidence to say what I think and to bring up things that I think are important, which coming from a while back at the club I haven’t really had that,” Edwards said. “I’ve been pretty shy, so it’s good to know that I’ve got the backing of my team mates and coaches. “I’ve got fairly good personal relationships with a good mix at the club which I think will help develop younger players and also mix that with the older players. The leadership group is nominated by the Richmond playing group in consultation with the Club’s coaching staff, and will be the official playing leaders for the 2016 AFL season.